This Saturday 24th October is Levenshulme Language Day, a multi-venue celebration of the diverse languages spoken in Levenshulme. 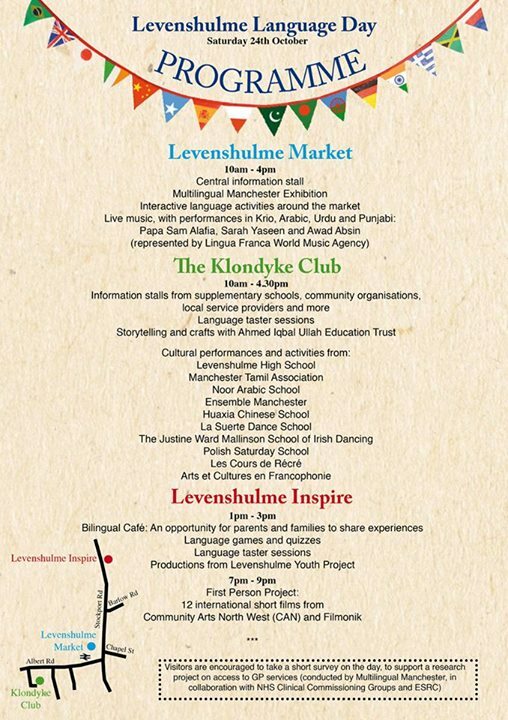 Levenshulme Market is delighted to be one of those lucky venues, and we’re in for a real treat with all the activities that organisers Multilingual Manchester have planned for us! Make sure you pop by the Levy Language Day stalls in the entrance to the market, where there will be interactive language games and activities, information and a Multilingual Manchester exhibition. Look out for other bits and pieces around the market too – you never know what new languages you’ll be introduced to. Sam Maitland, performing as Papa Sam Alafia, has worked with a host of respected African and international artists and performed extensively throughout the UK since moving here from Sierra Leone in the late 1980s. 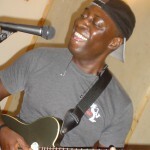 He will be treating us to a performance in Krio, the main language spoken in Sierra Leone, West Africa. Find out more about Papa Sam Alafia here. Manchester-based Sarah Yaseen is a singer-songwriter who has performed throughout the UK, delighting thousands with her soulful voice, positive message and emotive lyrics. The multi-lingual Sarah will be performing for us in Urdu, Punjabi and Arabic. Find out more about Sarah Yaseen here. Awad Absin is a Sudanese musician who has been making music since he was as young as 4. He’s now in great demand as a solo performer and as part of a band, specialising in Sudanese folk songs. Awad will be performing for us in Arabic, a language spoken in many parts of the world, including Levenshulme. You can find out more about Awad Absin here. 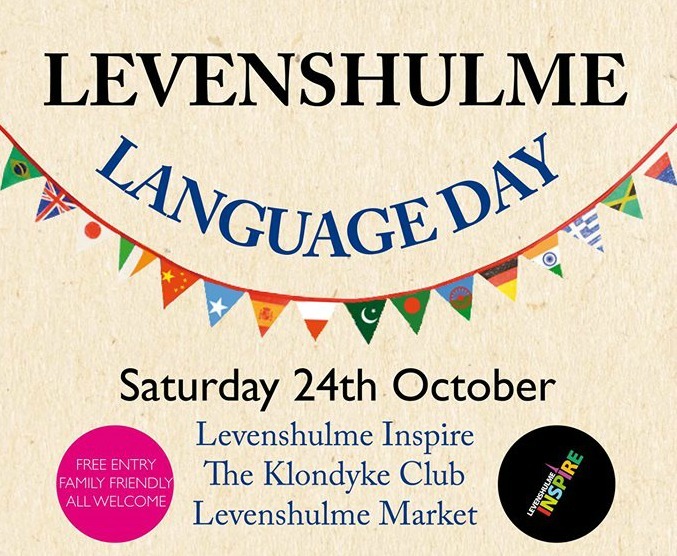 As well as all the fun and games at Levenshulme Market, there are lots more other Language Day activities going on at other venues – pop over to The Klondyke Club on Burnage Range and Levenshulme Inspire. All the details for Levenshulme Language Day can be found here – take a peek and we’ll see you all on Saturday!